Happy Easter! Look what I found this weekend. Remember a few days ago when I went to the old feed and seed looking for baby bunnies or ducks? 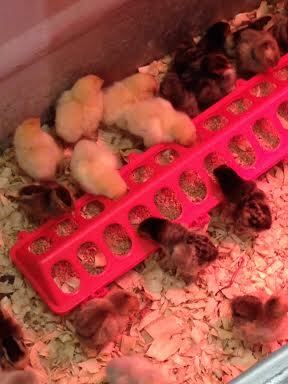 Well, I found some chicks at the tractor supply store. They were so cute, under a heat lamp in the bottom of a huge grain tub. I wanted to jump in and play with them. The picture would have to do.